We hope you love our 4 piece personalized dinnerware sets as much as we do! Not only do you get all the co-ordinated pieces, you get yourself bundled savings. With all the designs, patterns and colors, and all the choice of personalization (Name, Initials, Monograms) you literally have thousands of products to choose from! Our plates, bowls and cups are bpa free, dishwasher safe and best of all - drop and break resistant. With very little care, these beautiful dinnerware set can last a lifetime! The placemats are made from thick card stock and are sealed with a thick (10 mils) laminate - so that they are spill proof and can can be wiped clean. Adorable set. My grand neice loves it. The real review is, "Did my wife like the finished product?" I can say resoundingly, "YES!" They arrived earlier than expected which was a nice surprise. Generally my wife just ignores the packages from Amazon as I order "toys" all the time. In this instance she was all over this package. The initials on each piece were exactly as expected. 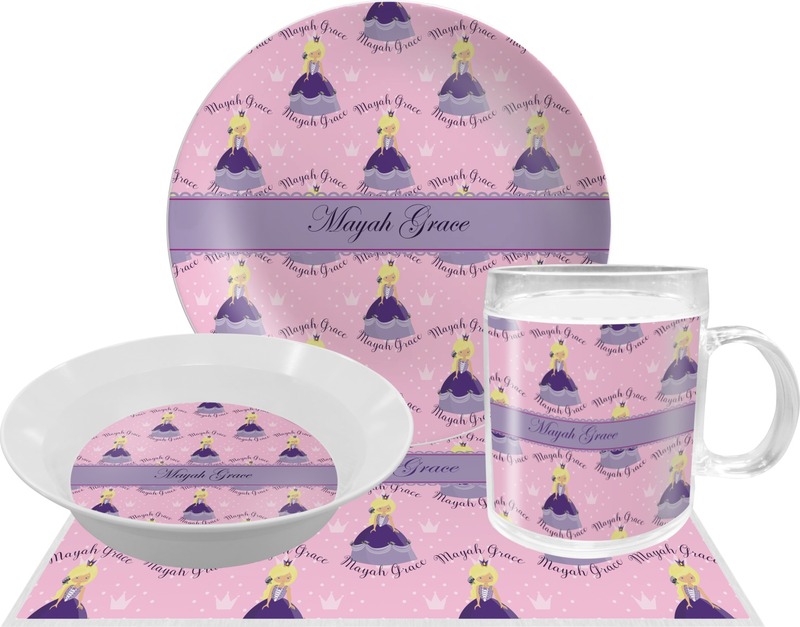 This set is for our granddaughter so she will be delighted to have her own place setting. Item is as described, well made, attractive and shipped in an expeditious manner. I loved the fact that I was able to personalize every single part of this set! It will be a very special gift for my great granddaughter's first birthday!! I also received it in less that a week.